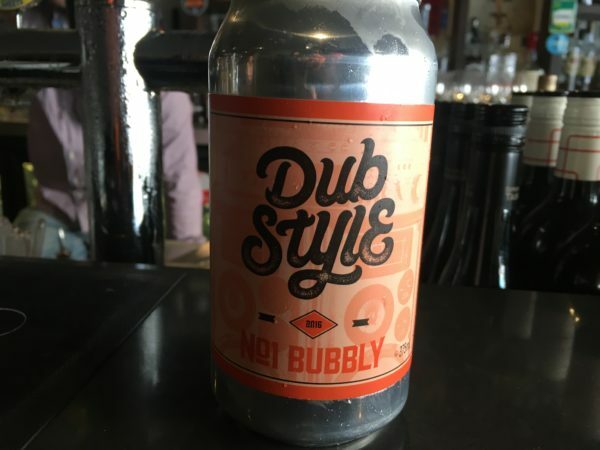 This Dub Style No.1 Bubbly 2016 is one of the most entertaining wines to have crossed my desk in a while. From the ever-fertile mind of Dudley Brown and the talented Irina Santiago-Brown (who I called Irena recently, sorry), this is a skin fermented, semi-sweet, sparkling Viognier in a 375ml can. It’s an odd, but compelling, wine too. Style-wise it’s closer to moscato than a cloudy skin contact white, and the sweetness evens out the tannins. But there is freshness and vitality in amongst the juicy flavours, and it never trips over into sickly territory, even though it’s obviously off-dry. The fun factor here is off the charts. Warm day, over ice, with a little soda and this sits in an RTD-smashing groove. Personally, it’s a little overtly sweet to drink much of it, but I’m likely in the minority. Entertainment high regardless. Scoring is hard, but I’m ok with where I’ve landed. Best drinking: 2016-2017. 16.8/20, 89/100. 10.9%, $12 375ml can. Would I buy it? I’d go another can. Research. Hi Andrew – adventurous cross-breed style, which is becoming more of a ‘thing’. Starting more from the beer side NZ brewer Moa have recently come out with a Sauvignon Blanc -infused Belgian Tripel and a Gewurz I.P.A. Two Birds have a few wine inspired/infused beers and Bridge Road have collaborated with Beechworth winemakers in a small series of beers. Others of these hybrids that I’m aware come from Hop Nation (riesling) and Mornington Peninsula Brewery (pinot noir). Yes! Just a matter of time really. The hybrid RTD market is fast growing too – vodka cider combos for one. The Four Pillars Shiraz Gin is a classy example for that matter. I’m a fan of this adventurous cross-breed stuff in general, if it delivers something tasty – rather than just odd cocktails. Haha! No one wants to like it. But they all do….! Thinking 530pm on a 29 degree day would be best time for more research.